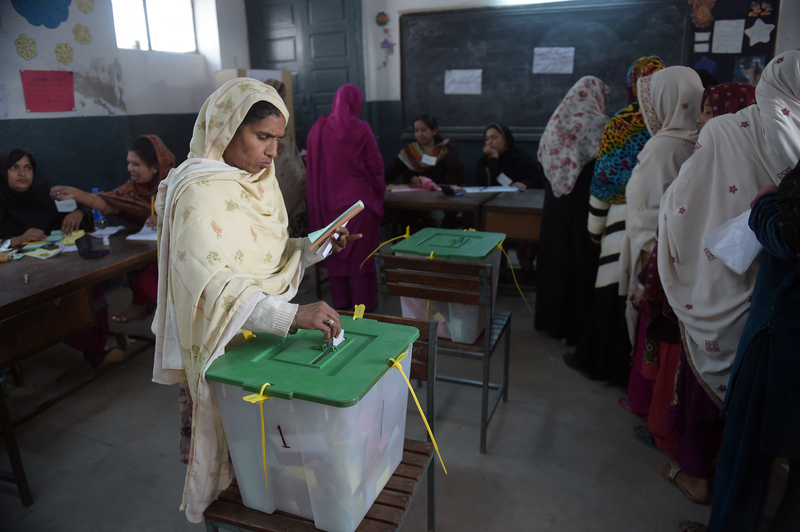 PESHAWAR -- Pakistani women have been gaining an increased role in the electoral process, including running for elected posts and managing campaigns. In the 2013 general elections, 147 women from all over Pakistan ran for National Assembly (NA) seats, and more than 300 sought provincial assembly seats. Of those, six women made it to the National Assembly and ten others were elected to the provincial assemblies. The number of female candidates is on the upswing: 73 sought seats in 2008 and 57 women ran in the 2002 general elections. This progress in part stems from legislation that reserves a number of seats exclusively for women in the National Assembly, Senate and provincial assemblies. Many women serve in the cabinets of the central and provincial governments. In one contested election for the NA-120 seat in Lahore this year, two women faced off in the September 17 by-polls after the disqualification of Mian Muhammad Nawaz Sharif, the ousted prime minister. The Pakistan Muslim League-Nawaz (PML-N)'s Begum Kulsoom Nawaz Sharif, wife of the former prime minister, won with 61,745 votes. Her rival, Dr. Yasmin Rashid of Pakistan Tehreek-e-Insaf (PTI), received 47,099 votes. The campaign for Kulsoom Nawaz was led by her daughter, Maryam Nawaz. Notably, none of the male candidates received more than 7,200 votes in the polls. A large number of women, meanwhile, actively took part in the election campaigns for the NA-4 Peshawar by-polls on October 26. 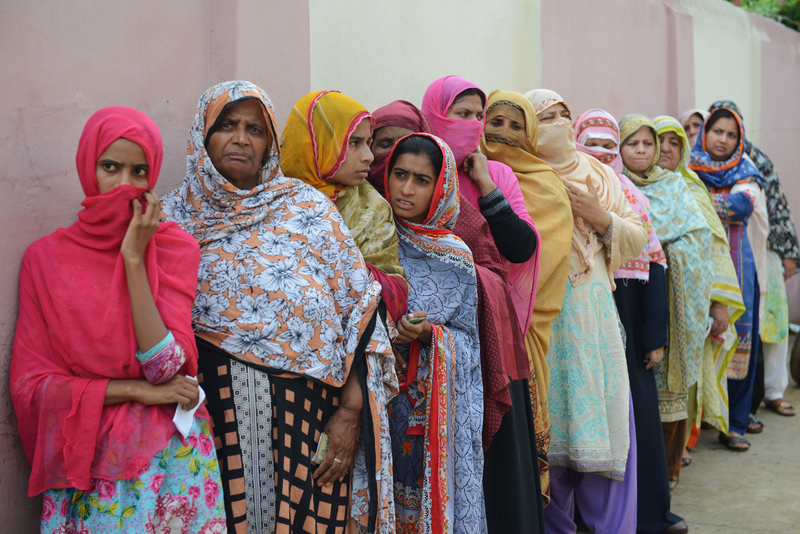 "The participation of the females during the process was fair enough, and the only issue was that most of the women [did not have] their national identity cards" that are required for voting, said Palwasha Abbas, a political worker. She and other women ran an aggressive campaign for their candidates weeks ahead of the polls. "We saw two women as leading contestants against each other in NA-120 in the polls in September, and [we are] sure we will see such competition in our province soon," Abbas told Pakistan Forward, adding that women need to be more educated to understand the importance of their vote. "Not only did woman voters come out to all polling stations in the most conservative constituency of Peshawar, NA-4, in by-polls on October 26, but many females ran campaigns for their candidates," Ashraf Khan, a political worker from NA-4 Peshawar, told Pakistan Forward. Some of the women campaigned in traditional burqas to attract more female voters, he added. Women in Pakistan welcomed a major development towards better inclusion in August when the National Assembly passed the Electoral Reforms Bill. The legislation has a number of measures aimed at improving the participation of women in elections, including a requirement for political parties to allot at least 5% of tickets to women for general seats. The bill was based on recommendations provided by a 33-member parliamentary committee on electoral reforms formed in 2014. The committee held 118 meetings, suggesting 105 amendments to the electoral process. "Women with better knowledge about their issues, who are actively working for the rights of females, need to be encouraged not only by the voters, workers and government departments but also by the top leadership of political parties," Shahida Shah Kakakhel of Nowshera, co-founder of the Khor women rights organisation, told Pakistan Forward. "Female participation in the electoral process can be improved only through reforms and committed efforts by the political parties and government," she said. "Awareness of the right to vote and right to contest and facilitating women's [efforts to vote] at polling stations can further improve their role in the electoral process as [both] voters and candidates," she said. Moreover, the government needs to further simplify voter registration and the submission of nomination forms to increase participation by women from tribal areas and remote towns of Khyber Pakhtunkhwa, Kakakhel added. "The allotment of at least 5% of tickets to females by all the political parties under the Electoral Reforms [Bill] is encouraging [and] will boost the role of women in politics," Shad Begum, a Dir women's rights activist and founder of the Association for Behaviour and Knowledge Transformation, told Pakistan Forward. Government departments and civil society should carry out awareness campaigns well ahead of polls, especially in remote tribal and settled areas, to inform people about the active role of women as candidates and voters, Begum said. Separate polling stations with exclusive entrances for women in remote, conservative towns can increase the female turnout in elections, she said. "The Election Commission should keep an eye on the local elements so they cannot bar women from voting in conservative areas," she said. For many women, voting in general elections was once just a dream. That all changed last week. 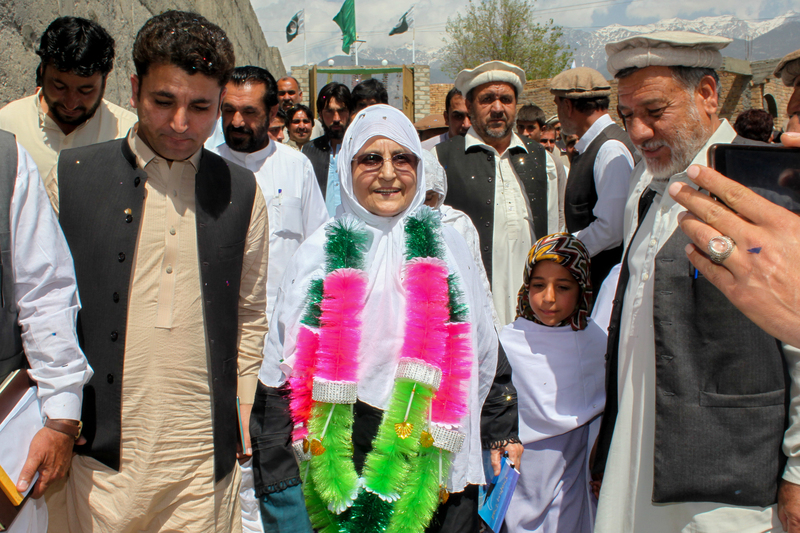 'My aim is to end terrorism, establish peace, empower women and democratise the tribal population,' said Ali Begum, a retired civil servant from Kurram Agency.